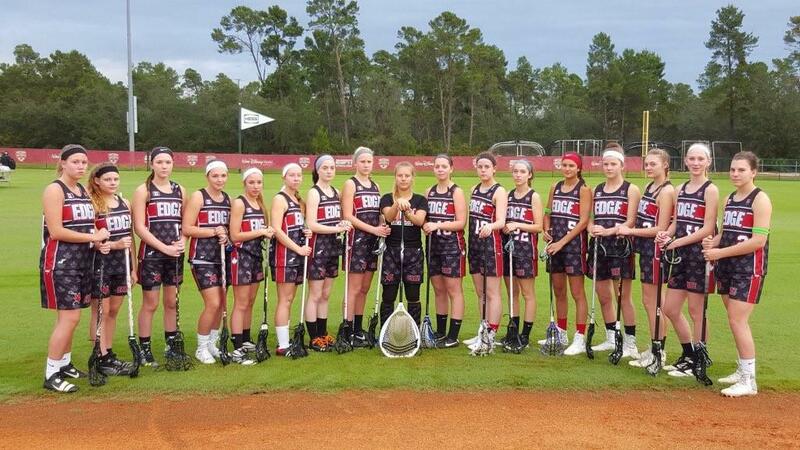 The Spring weather is finally here and we're excited to announce our plans for women's summer travel teams! We are nearing the end of our women's spring training program and we have had a number of inquiries into women's programs. 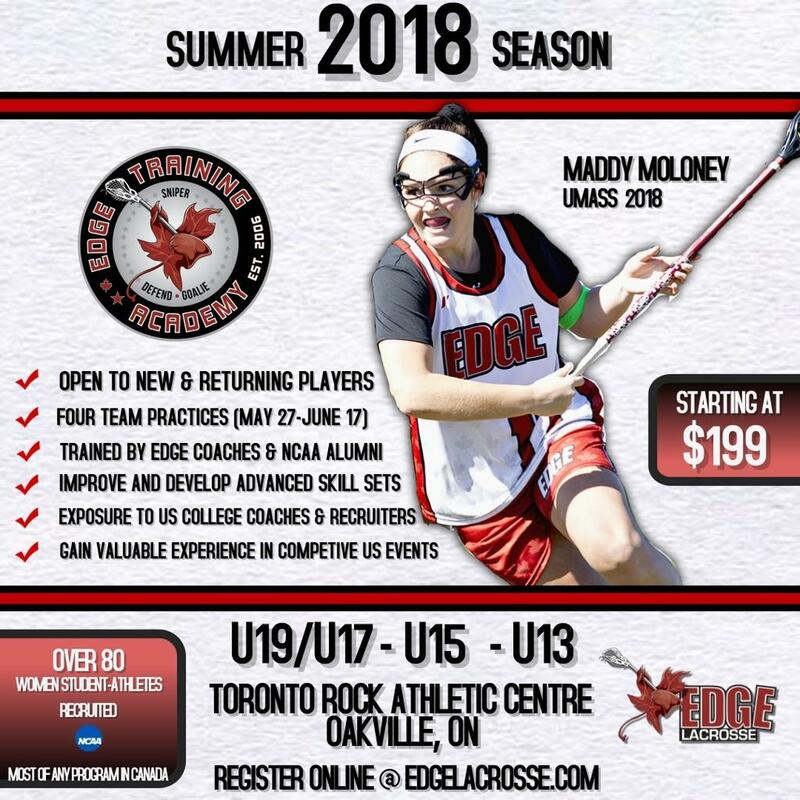 Our women's summer program is for aspiring female lacrosse players who have an interest in improving and developing their skill set, with the goal of securing scholarship to NCAA programs. The summer program will provide student-athletes with hands on coaching and development from experienced coaches and staff. We understand the importance of OWFL commitments and EDGE programming will not conflict with your OWFL commitments. Our schedule will offer 3-4 team practices and training sessions, followed by 2-3 US tournaments/events for our teams. The focus at the U19/U17 age is to provide members with high quality instruction and training that will prepare them for college recruitment. 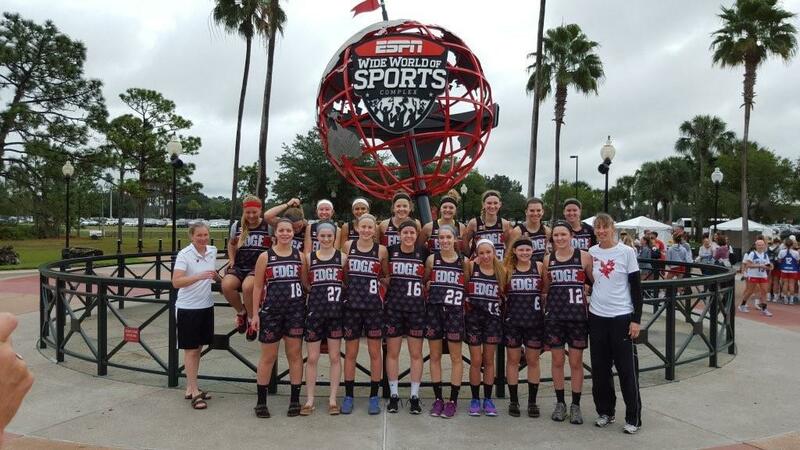 The team will participate in summer recruiting events that will provide them exposure to college coaches and recruiters while giving them experience in competitive US events. Our women's program has been the most succesful women's club program in Canada. With over 80 recruits to college programs! Team evaluations and selections will be made during May 27 and June 3 practices. In the event a player is not offered a position for the summer program, a full refund less $50 will be provided. At the U15/U13 level we are more focused on player development. Developing and improving all areas of our member's skill set and understanding of the women's field game. Team practices will be focused on skill development and introducing high level field concepts and systems that are used at the U17/U19 level. Teams will compete in 2 US based events that will provide them experience and exposure to competitive US events.